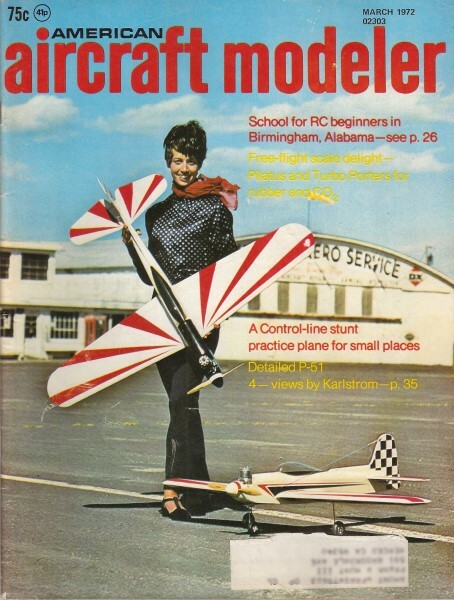 Airplanes and Rockets website visitor Barry D. from Belgium, wrote to ask whether I had a copy of an advertisement run by World Engines that featured the OS-Graupner Wankel rotary engine. I remember seeing those ads way back in the 1970s, so I began looking at the World Engines ads in the January 1970 issue. Finally, in the March 1972 edition, there it was. 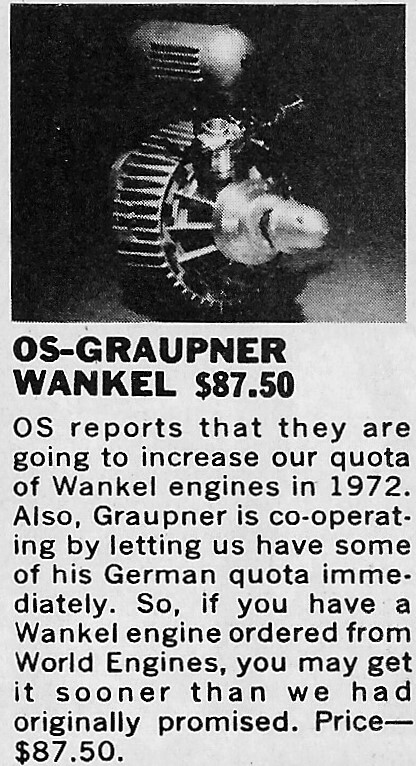 The entire ad and a full-size scan of just the Wankel engine are shown below. 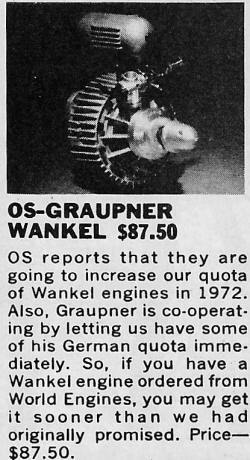 OS reports that they are going to increase our quota of Wankel engines in 1972. Also, Graupner is cooperating by letting us have some of his German quota immediately. So, if you have a Wankel engine ordered from World Engines, you may get it sooner than we had originally promised. Price­$87.50.